The ice atop Greenland is not static. It slowly flows toward the coast and enters the ocean via outlet glaciers that ring the giant island. 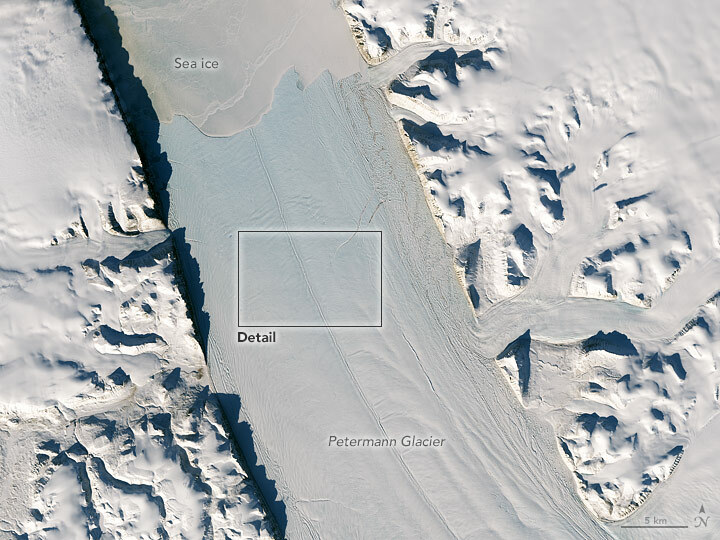 Petermann Glacier is one such “river” of ice. Like most glaciers that come in contact with the sea, Petermann has been known to periodically shed, or calve, icebergs. A new crack on the glacier has glaciologists watching Greenland’s northwest coast closely. The new crack, or “rift,” is visible in these images acquired on April 15, 2017, with the Operational Land Imager (OLI) on Landsat 8. 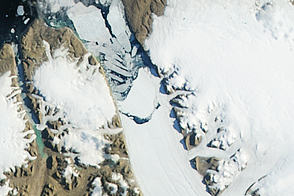 The first image shows a wide view of the glacier, including its front—where the glacier’s floating tongue meets the fjord’s ice-covered sea water. 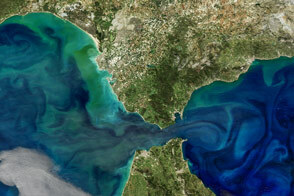 The second image shows a detailed view of the rift. It remains to be seen whether that will happen. Brunt points out that the rift currently appears to end at a feature running down the center of the glacier. “That’s pretty typical,” she said, citing similar occurrences on ice shelves in Antarctica. This new rift could eventually work its way through the feature in the center of the glacier. 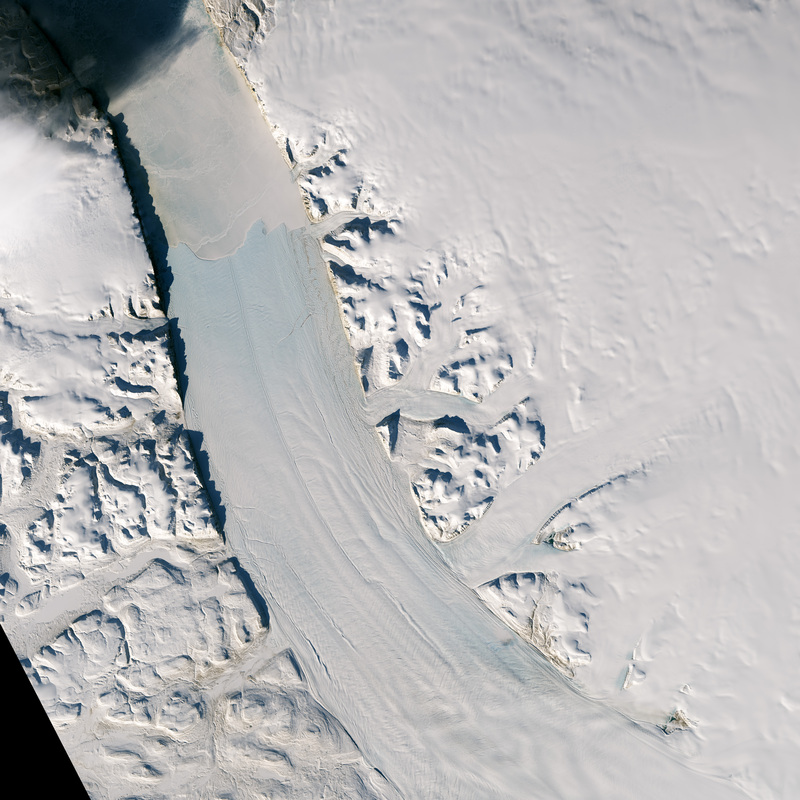 Or, the new rift could be met by an old rift—visible in the upper-right part of the detailed image—as it works its way from the northeast side of the glacier fjord. “But there is really no telling at this point,” Brunt said. 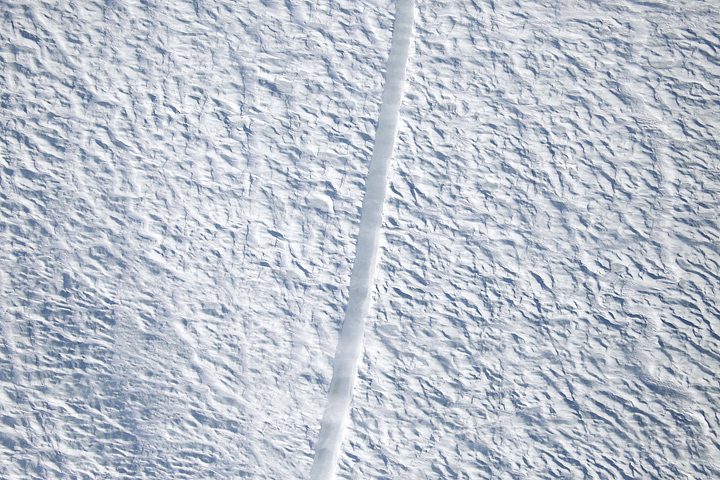 The day before the satellite images were acquired, Brunt flew with NASA’s Operation IceBridge, an airborne science mission that conducts important surveys of snow and ice near Earth’s poles. The flight had a number of goals, including an overflight of the recently discovered rift. On April 14, 2017, the Digital Mapping System (DMS) captured an even more detailed image of the rift. The DMS includes a high-resolution digital camera, installed on the belly of a P-3 Orion research plane. 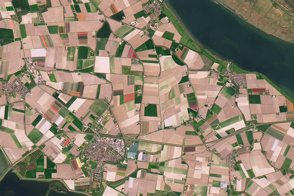 The camera points straight down and takes overlapping images throughout a flight, providing a visual reference to help researchers better understand data collected by other instruments. NASA Earth Observatory images by Joshua Stevens and Jesse Allen, using Landsat data from the U.S. Geological Survey. IceBridge DMS imagery by NASA/Gary Hoffmann, courtesy of the Digital Mapping System (DMS) team. Story by Kathryn Hansen. 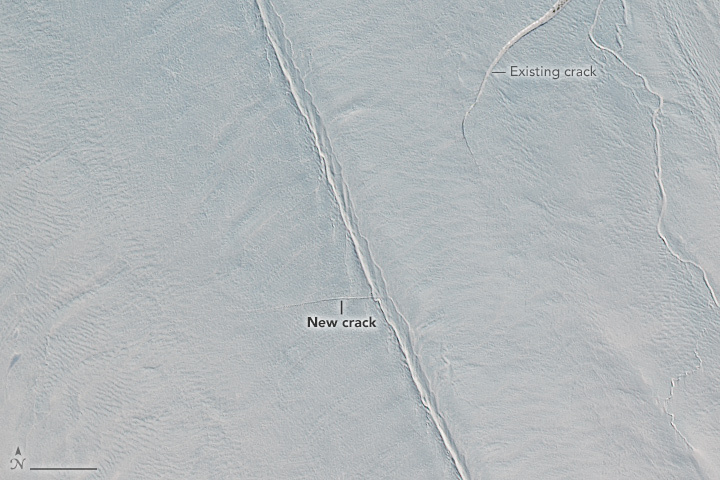 Glaciologists are watching a new crack that has formed on a glacier in northwest Greenland. The Washington Post (2017, April 15) NASA just snapped the first photos of a mysterious crack in one of Greenland’s largest glaciers. Accessed April 18, 2017.